means that all braking is lost with nothing to stop the brake shoes ‘popping’ open and ejecting all the brake fluid when brake hub comes off. Can’t really remember how, but somehow managed to get the whole thing back home. Whilst there was some wearing away of the underside of the front steering it was not sufficient to prevent me putting things back together, and making sure the centre nut was really secure with a new split pin. Within a week the Berkeley was mobile once again. Unfortunately history has a way of repeating itself and a few days later exactly same thing happened again, this time later in the day and on Lower Brentwood road (which was parallel with the previous one only a week or so earlier). It was the same left hand wheel that came off, but now the wheel became momentarily trapped under the wheel arch, bursting out of the wheel arch at an angle of nearly 90 degrees to the car. It hit the kerb coming out and bounced up in the air and right over the top of a front garden wall and hedge, striking the front wall of the respective house unbelievably some 15 to 20 foot up at first floor level!. It narrowly missed going through an upper bedroom window, simply falling down in to the front garden of the house with no damage other than some flattened flowers and plants! Amazingly (and much like the previous occasion) there were very few other vehicles or people around to witness things. No one came out of the houses and no one in the street seemed to be bothered or really took notice of what had just happened. It was odd (and probably very fortunate) that on both occasions there was very little other traffic around. This time the front nearside suspension was badly worn away from grinding down the road and a total re-build was needed. With full engineering facilities to hand I bored out the king pin trunnion blocks and made some phosphor bronze bushes for the king pins to sit in properly and some spacers to help take up some of the drive shaft wear. At this stage I didn’t have any other form of transport and relied on work mates to run me from Romford to Prices Garages at the Broadway in Leigh on Sea if I needed specific parts. Prices were the only place in Essex that kept parts for Berkeley vehicles (and I guess Excelsior engines). ‘Monty’, the same work colleague who sold me the Steroidal Dumper Truck AJS Combo had now ‘upgraded’ his own transport to a Berkeley T60. With the Berkeley being so light in weight it was possible for one person to lift up the rear of the vehicle. Workmates learnt this very quickly and would lift up the back of the cars and would often hide them in an outbuilding somewhere in the works. A popular conversion during this period was to replace the two stroke twin and its transmission with the subframe, engine, transmission from an Austin or Morris Mini. Many years later large capacity Japanese 4 cylinder bike engines would be subjects of transplants in to both 3 and 4 wheel Berkeleys. Thanks Phil - that is a 'real' story, not exaggerated in any way - its surprising how much kinetic energy even a small 12" diameter wheel has. Imagine a large truck wheel and how unstoppable that would be! GREAT first car story - looking forward to Pt 3. Part 2 of my early day motoring finished off with the 3 wheeler (occasionally 2 wheeled!) Berkeley story. It was now 1968 and I was 18 years old. Readers may recall that I had previously swapped my trusty second AJS 500 single for the Berkeley three wheeler. After a stressed relationship it was to be replaced by a Mark 1 Ford Zodiac. Before I go on to talk about the '40 mpg Zodiac' I do have a final recollection to share about a journey with the AJS 500 before swapping it for the Berkeley. My biker buddies, Dave Fox, Tony York, Harry and his younger brother Peter Warwick and myself all decided that we wanted to go on a weeks camping trip on our bikes. Our only biking activity of any distance had been a regular Friday night trip to Hackney Speedway. This usually ended up being an all-out manic race from Hornchurch to Hackney, generally with Tony leading. Our chosen holiday destination was a camping site just outside East Grinstead in West Sussex. Harry Warwick had a BSA 650cc A10 and was duly elected to carry an oversized rucksack and our camping equipment, including my grandparents twin burner paraffin fueled camping stove and all the required cooking and eating utensils and food for four hungry teenagers. The canvas 6 man ex-army canvas tent, flysheet and our sleeping bags were strapped to Harry's pillion seat, luggage rack and rear panniers. This ultimately didn't leave a lot of room for Harry, especially considering that he also had more of our camping gear strapped to the fuel tank and handlebars in front of him. The general consensus amongst the rest of us was “that would be OK”. Harry was lightly built and accordingly (by logical group consensus once more) had more room to carry all our camping kit. Tony York was on his racy metallic blue 650cc BSA Super Rocket complete with sweptback exhausts and rear-set footrests. He had bizarrely added a set of hand made, bare timber and plywood pannier boxes to the bike. Tony was was a tall well built bloke with huge long legs and size 12 feet that seemed totally disproportionate in size to the rest of his body. You always knew when Tony was riding towards you from a distance as his knees and feet would always seem to be at acute right angles to the rest of his body, significantly protruding either side of his bike. He would also wear oversized Wellington boots with a white piece of rag tied around the right toe. The rag served two purposes, firstly soaking-up an dripping oil leak from the right hand cylinder head, secondly to make changing gear with his right foot a bit more comfortable for him. Wearing a old style 'piddle pot' helmet and aviator goggles made him look intimidating. Tony had very little room for a pillion passengers due to his size, but it would be more truthful to say that with Tony's 'aggressive' style of riding no one was brave (or foolish) enough to go on the back of his bike, so he rode solo. Little Dave was on his Triumph 350cc twin and also rode solo. Peter Warwick's bike (a BSA M21 side valve combination) was off the road following damage from an 'off road' motocross type excursion carrying all of us across a very wet Tylers Common, so he was my pillion passenger. Our late afternoon/early evening Friday journey was initially quite a pleasant and leisurely trip from our home base in South West Essex over to East Grinstead in West Sussex. Whilst it was only a 40 mile or so journey there wasn't an M25 motorway back then so this would have been at least a two hour trip. Our four bikes were ridden in convoy and we were getting fairly close to the camp site on fairly narrow and winding single carriageway lanes. I was leading at this time and approached what at first appeared to be a small hump backed bridge over a single track railway line (probably the Bluebell Railway). Not being used to carrying a pillion passenger I badly misjudged the 'hump' of the bridge, going over it far too fast. What I didn't realise was that the bridge itself was hiding from view a sharp left handed bend immediately on the other side. Going over the bridge so fast meant that I didn't see the left hander until it was far too late to be able to either brake or steer around it (especially with the additional weight of a pillion passenger). I lost control and rode straight in to the the ditch on the right hand side of the bend, ending up spread eagled over a tree stump, entangled with the bike and trapped partly underneath with the additional weight of Pete Warwick flattening me. I really thought that I had seriously injured myself, the AJS's left handle bar had pierced my riding jacket and seemingly my stomach too. I was unable to breath for what seemed an eternity and was badly 'winded'. Tony managed to stop fairly close, propped his bike up and ran back to help, pulling the bike off me with Peter helping. Little Dave had to pull over to help Harry Warwick who stopped further up the road. Harry being so weighted down with camping gear, tried to get off his his bike to help but lost his balance (due to the weight of the oversized rucksack) and fell backwards on to the grass verge with the whole weight of the BSA, camping gear and tent trapping him underneath the bike. After I few minutes I had managed to regain my breath, and amazingly other than some bad bruising to my stomach and legs I wasn't injured. Even the bike was relatively undamaged except for bent handlebars and brake lever. Harry was OK too. We all sat back and laughed seemingly hysterically for quite a long time before continuing our journey to the camp site. Erecting the tent at dusk with torches was another challenge! The next afternoon I decided to ride back to Woodford Green to take a new girlfriend out for Saturday evening. We had been out a few times but she had not told her parents that I was a 'biker'. She had refused to go on the bike, which wasn't an issue with me. This was the first time I had been to her place on the bike and when her parents saw my bike parked outside their place they immediately banned her from ever seeing me again. Harsh, perhaps – but I learnt that her older brother had died in a biking accident – so, an understandable response I suppose. That evening I rode back to the camp site in East Grinstead to join up with the 'lads' once more. Unfortunately our well planned camping holiday wasn't going to last a lot longer! Later the following day we were asked by the site owners to leave. We had been far too noisy for most of the other campers. Tony was always a bit 'mercurial' and waking up at sunrise on the Sunday morning he disturbed the rest of tying to get our 'beauty' sleep after a late night. We all complained and shouted at him to go back to sleep and leave us in peace. Tony then lost his temper, burst out of the tent in his underwear and at the top of his voice started shouting out “good morning campers, wakey, wakey, rise and shine” and banging a spoon on a saucepan much to our embarrassment (and annoyance of other campers). The final straw for the site owners I guess was us finding an ancient, rusty 1920's or 30's artillery wheeled car or light truck chassis at the top of a hill that had been recently cleared of saplings and undergrowth. We all pushed it down the recently cleared hillside and jumped on the chassis when it had picked up some speed, it eventually throwing us all off when it hit a series of small tree trunks near the bottom of the hill. Right, enough of 'bike recollections'. Now on to the '40 mpg Zodiac'. I bought the 1955 Mark 1 Ford Zodiac for the 'heady' price of £12.00. This (to me at the time) was a very good price as the car came with 6 months MOT and 3 months tax. I hadn't actually passed my driving test when I bought the Zodiac and the only person I knew (other than my mother) who had a full driving license (to legally accompany me) was Little Dave. As a teenager you just don't ask your mother to 'sit-in' when you have 'L' plates. It certainly wasn't 'cool' then and most definitely isn't 'cool' now. And anyway my mother had this really irritating habit of reciting the Highway Code when encountering differing road conditions and potential hazards together with verbal explanations why a particular gear had been selected, the reasons for using indicators and rear view mirrors etc. Dave Fox needed a full driving license being an apprentice motor mechanic for Gidea Park Motors to test drive customers cars. The dealership at the time had some good franchises, including Daimler/Jaguar and Jensen. Dave would ride the two or three miles over to my place on his Triumph 3TA 350cc twin and we would take the Zodiac out for drives, usually with several buddies and respective girlfriends. I had bought the Zodiac in the middle of a particularly cold winter and as the heater had long since given out we would freeze inside with internal condensation on the windows turning to ice! The girls would take hot water bottles and cover ourselves with old blankets in an attempt to keep warm. Being then new to the world of cars and looking to do some routine maintenance I couldn't understand at first why the Zodiac's spark plugs were mounted in hexagonal section 3” long spark plug extensions, one on each spark plug. These extenders were sold during the 1950's and 60's for use with cars that had heavy oil consumption. The idea being that moving the spark plug electrodes further away from the combustion chamber would help prevent the inevitable 'oiling-up' of spark plugs caused by knackered engines. The Zodiac's rate of oil consumption was significant (as I will explain later). This car had an appetite for rear axle half shafts too. Little Dave's old girlfriend lived at the end of a small cul de sac in Dagenham. Dropping her off with Dave one evening I reversed the Zodiac back up the cul de sac and scraped along the side of a parked car. In panic I 'floored' the gas pedal to get out of there and promptly snapped a rear axle half shaft. Stranded at the 'scene of the crime' we managed pushed the car into the main road and parked it up the road a few hundred yards away to be recovered the following day. The recovery was to be another event. Back at work the following day I managed to coerce one of the other apprentices John Montgomery (Monty) to tow the disabled Zodiac back from Dagenham to my home in Gidea Park. He unwisely decided to use the full length of the rope (being worried that I would run in to the back of him). The little 1098cc Morris really struggled towing the heavy Zodiac and we made it as far as the old Merry Fiddlers roundabout in Dagenham at a steady 20 mph. Monty entered the roundabout with me at the end of thet 30 foot tow rope. Unfortunately a lady driver came around the roundabout before the Zodiac had actually entered it, cutting in between the rear of Monty's van and the front of my Zodiac. She was totally oblivious to the tow rope stretched taut in between our two vehicles and her car got caught up on the rope as she tried to pass between us. This only served to pull the rear of Monty's van and the front of my Zodiac in to contact with the right and left front wings of her car. We were all jammed up and tied together with the tow rope and blocking the roundabout. Somehow we sorted it all out and the only real casualty was Monty's Moggy Minor van which ended up suffering a set of worn out big end bearings. Little Dave's new girlfriend was a trainee nurse who had moved down from the North to work at Harold Wood hospital opposite Little Dave's house, just a few yards from Harold Wood railway station. She had booked a two week holiday in Spain with some of her friends and I offered to take her to Heathrow Airport on a Friday evening so she could catch her flight. Harold Wood is on the South West Essex fringes of Greater London, a couple of miles south of what is now junction 28 on the M25. Heathrow Airport is on the Western fringes of London just inside the M25 and just off the M4 motorway. In 1968 there wasn't an M25 motorway. We had to use the A406 North Circular route round to Brentford with only the the last 4 or 5 miles being on the M4. It was only when we almost got to Heathrow and travelling at a reasonable speed (50 mph) on the motorway that I noticed the blue smoke screen behind the Zodiac (probably more visible under the motorway lights) It would be exaggerating to say that it was worse than the smoke screen from a WW2 battleship – but hopefully the reader will 'get the picture'. Fortunately I had a gallon of cheap Comma 20/50 oil in the back and after we dropped off Dave's girlfriend at the airport I filled the car up with virtually the whole can. I recall still having to stop and buy even more oil mid-journey back home to Gidea Park, later worked out the oil consumption to be 40 mpg (hence the 40 mpg Zodiac!). The real problems started on our return trip back to Essex, getting lost and ending up coming back home via South East London and eventually the Rotherhithe tunnel. Ford Zodiac's have hydraulic clutches and either the master or slave cylinder decided to fail. With no clutch pedal it required some careful matching of speed and gear shifting of the 'three on the tree' column change. Traffic lights and road junctions were a problem. The only answer was to turn the engine off, put the car in 1st gear and when the lights changed to green, press the starter button and if lucky and on a level or downwards gradient the engine would 'fire' and with a few 'bunny hops' and wheel spins we would be away in first gear. Sometimes this didn't work. I didn't mention that we had passengers did I? - well, we had Little Dave in the front beside me riding 'shotgun' (he had the full license remember) Tony York and Jeff Moncrief were in the back. So when the starter alone wouldn't get us moving, Tony and Jeff would get out with Dave if needed and push the car whilst in gear. 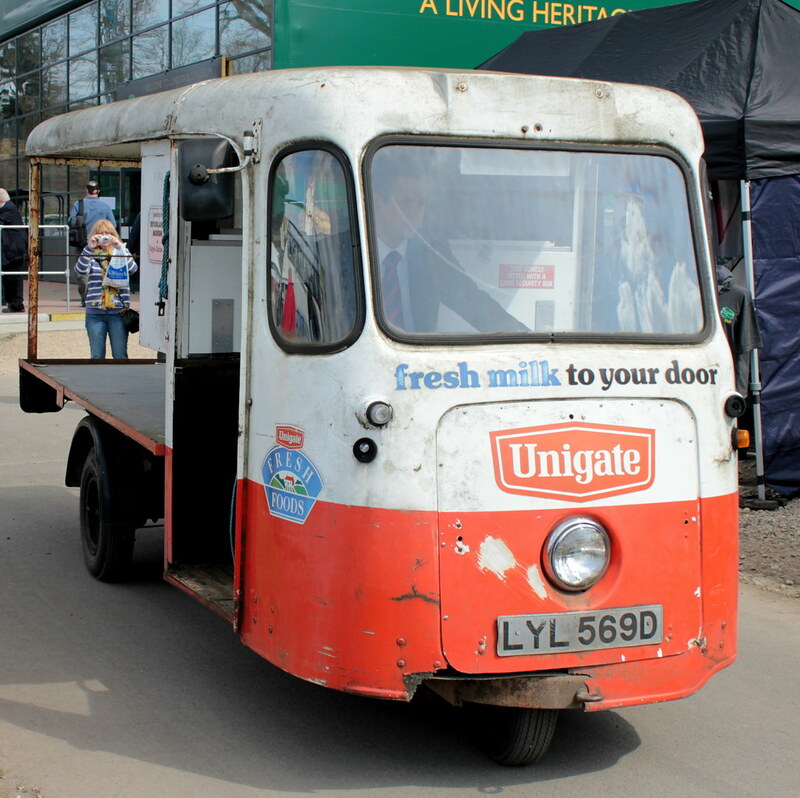 With me cranking the starter, it would eventually fire-up, do a few 'bunny hops' and wheel spins - usually with at least one of the team being dragged along the streets hanging off the doors. Several half-shafts later the Zodiac was pensioned off and ended up on the stock car or banger racing circuit. I bought another bike, a mid 50's iron-headed 650cc Triumph Tiger 110. This bike had originally been used with a side-car and came with a 'square' section rear tyre, specifically designed for side-car use, (not exactly what you want on a solo machine) In fact the Tiger 110 came with a history of previous owners who had all been thrown off the bike owing to its poor handling. I guess the knackered swinging arm bushes and side-car rear tyre didn't help. I bought a brand new rear Avon rear tyre for it. I seem to remember buying it on my mothers Freeman’s or Littlewood's mail order catalogue. The Triumph had sweptback exhausts, 'straight through' Goldie silencers, rear set footrests, a 5 gallon glass fibre racing fuel tank and single racing seat. It was always when trying to keep out of trouble 'plod' would give me a 'tug'. I was beginning to build-up a whole series of endorsements and fines and decided to break the bike up for spares with the engine/gearbox eventually being sold to someone building a Triton Café Racer. The Tiger 110 was the first bike I was to experience a 'wheelie' on. Pulling away fast from the left hand kerb on a heavily cambered road I couldn't figure how I ended up in the opposite kerb, until I realised I had 'popped' a little wheelie. My next car was another Ford, this time a mid blue over white 1960 Mark 2 Ford Zephyr. 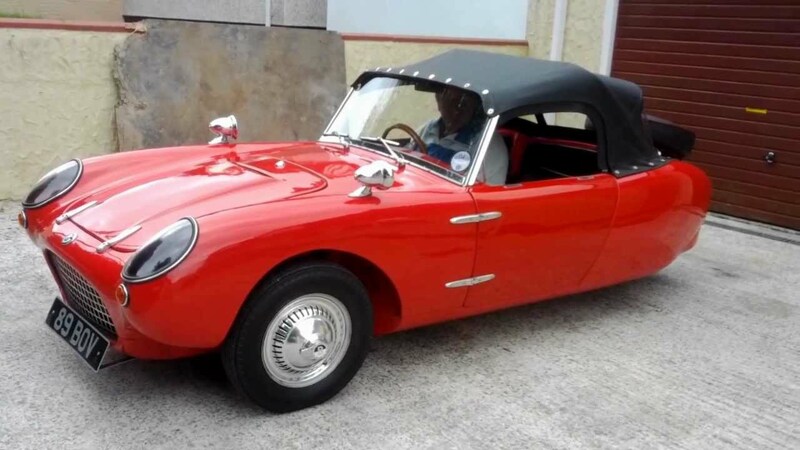 This had a slightly larger 2553cc six cylinder engine than the earlier Mark 1 Zodiac. The Mark 2 was quite a smart looking car although I was to find out later that the white finished lower part of the body was covering largely glass fibre matting and resin, all done quite well though. The Zephyr again had a 'three on the tree' column change with (unusually) overdrive. The overdrive itself didn't work, but the 'free-wheel' feature did. This was a great invention, allowing clutch-less gear changes. With the car wide bench seat and a girl friend huddled-up close the occasional gear change could be made with your left hand whilst still cuddled around the girlfriend with steering 'duties' being dealt with by the right hand. A previous owner had fitted the Zephyr with a six branch exhaust manifold, replacing the standard issue Ford 'scaffold tube/walking stick' exhaust manifold. This was effectively a simple length of steel tube with rectangular slots in it mounted horizontally across the exhaust ports on the cylinder head and connected to the exhaust down pipe, probably very inefficient. I doubt whether the aftermarket six branch exhaust manifold added any additional power to the Zephyr, but it certainly sounded good. This car was probably in the best mechanical condition of any car I had owned to date (and a few afterwards too!). But with only a 1703cc 4 'banger' engine it just had to be replaced by something quicker. Next episode - Part 4 – Mark 10 Jag to Ford Galaxie. Last edited by roscobbc; 13-09-15 at 06:38 PM. I'm not the only one who fell off, then. Broke my thumb twice but never hurt myself in any other way. Decided you couldn't 'fall off' a car. Exactly - although I guess you can fall 'out' of a car! Laughed out loud at the tow rope incident too. Lovely Tiger also. Thanx for sharing!